Defend Kurdish right to to Self-determination, No self-determination for Islamic State! No self-determination for Islamic State! ISIS, like Saddam, Gaddafi, Assad and the Taliban, were tools of imperialism in the past and, apart from the murdered Saddam and Gaddafi, they may become again. But ISIS is different to the rest. It was the creation of US imperialism via the CIA, the Gulf States and Turkey and, more covertly, Israel as Al Qaeda was in the 1980s. And like Al Qaeda it now controls territory. Saddam, Gaddafi and Assad led or lead nations, the Taliban were a product of the Afghanistan civil war and has become, in a certain sense, a national liberation movement in Afghanistan, albeit a very reactionary one, and so must be supported against US imperialism its allies and stooges unconditionally. Therefore we must oppose the US bombing of ISIS but we cannot blame the Kurds for taking advantage of the bombing to defend Kobane and other territories that are a legitimate part of a real nation without a state, in fact the largest such entity in the whole world, Kurdistan. Moreover the Iraqi Kurds, both Barzani’s Kurdistan Democratic Party (KDP) and Talabani’s Patriotic Union of Kurdistan (PUK), are puppets of the US/Israel. Also even Abdullah Öcalan, leader of the Kurdistan Workers Party (PKK) who were the most leftist opponents of Barzani in the 1994 -97 civil war have been attempting to accommodate with Turkey and imperialism at the expense of the Kurdish nation. 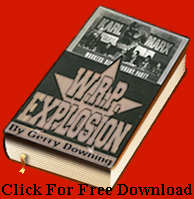 He now puts forward as his models Gerry Adams and Nelson Mandela, who have succeeded in betraying their own followers and nations and has abandoned the majority of the anti-imperialism of his Marxism-Leninism and has become a type of anarchist, advocating local autonomy as if imperialism did not exist at all. But the war in Syria has strengthened the hand of the PKK enormously against Barzani. The PKK have been the most consistent advocated of a Kurdish nation, despite Öcalan’s frequent disclaimers and fought on the same side as Talabani’s PUK in the civil war of the mid-90s and so their fighters are closer to them. Therefore we support the proposal of Öcalan in March of this year to hold a Kurdish national conference in the near future. It looks as though both Talabani and Barzani will be obliged to go along with this, such is the sympathy that the Syrian YPG, allies of the PKK, have won in the ranks of the Iraqi Peshmerga fighters that had entered Kobane and Rojave to fight ISIS .